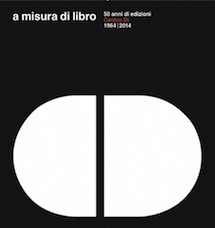 A misura di libro. 50 Years of Centro Di 1964/2014, organized in two locations. 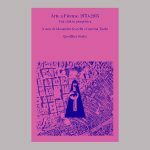 The Exhibition Space of the Ente Cassa di Risparmio di Firenze, from February 19 until April 23, housed some of the most important publications by the editing house, of which Ente has recently acquired the entire catalog, with particular attention to the 60’s and 70’s. The Marino Marini Museum, from March 1 until April 23, presented selections from the archive collected by Ferruccio and Alessandra Marchi, which testifies to their relationships with several artists, musicians, architects, and critics, as well as many important European and American editors of the period.